Traditional shirt colour white with long arm. A beautiful traditional shirt variant who likes it a bit reserved and not quite as lush. Manufacturer: Orbis. 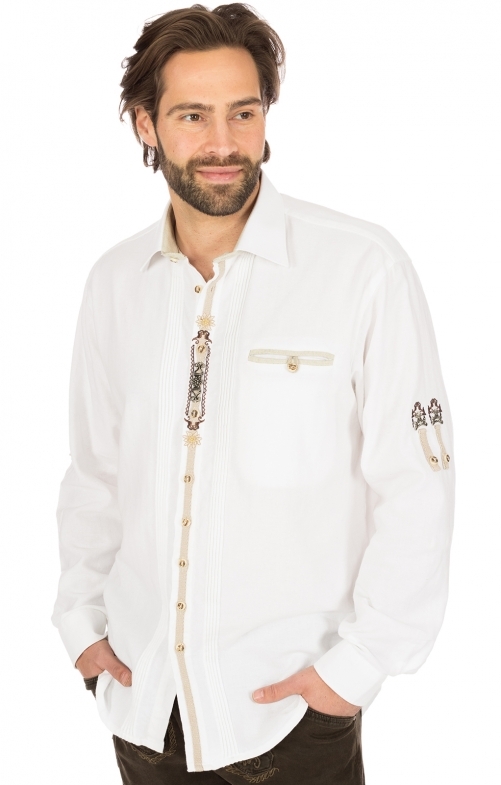 Fine piping front, partially embroidered with natural coloured contrast band button line show especially in conjunction with the small stag horn buttons and the applications on the arm a subtle harmonious togetherness in which one immediately recognizes that this is a very special costume shirt. Demanding and casual at the same time.